The National Museum of Modern Art, Tokyo consists of the main building and the Crafts Gallery in Kitanomaru Park near the Imperial Palace, and the National Film Center in Kyobashi near Ginza. It strives to heighten public interest in modern art. 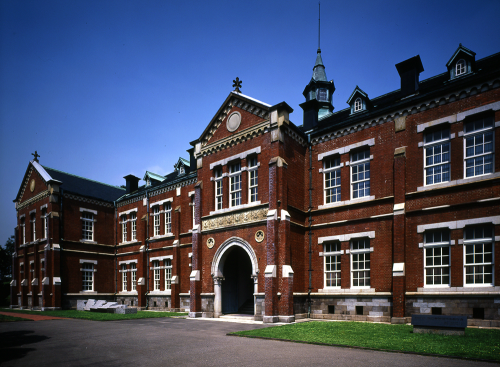 It opened in 1952 as the first national art museum in Kyobashi, Chuo Ward. 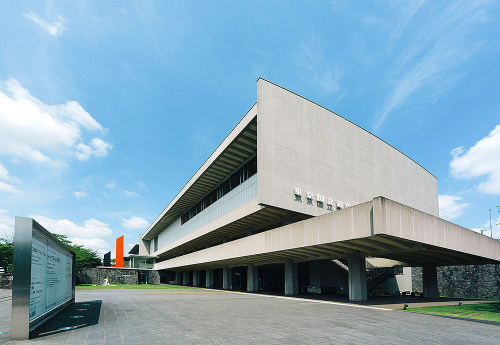 As a long-awaited permanent exhibition facility for contemporary art, the museum started its activities in the former headquarters of Nikkatsu Corporation refurbished by architect MAEKAWA Kunio. The National Museum of Modern Art, Tokyo holds the “MOMAT Collection,” in which about 200 works from its collection of more than 13,000 works are displayed with English explanations during each of the exhibition periods. Audio guide in English, Chinese and Korean is also available. “Room With A View,” an observation lounge of the Art Museum, commands a panoramic view of the nature-rich Imperial Palace and skyscrapers. The Crafts Gallery opened in 1977 as an annex to the museum showing modern crafts and design including ceramics, glasswork, lacquerware, woodwork, bamboowork, textiles, doll, metalwork, industrial design and graphic design. In 1970 the National Film Center opened in the building in Kyobashi, which was entirely rebuilt in 1995. The National Film Center is dedicated to the collection, preservation and restoration of films and related materials as the cultural heritage and historical materials. The National Museum of Modern Art, Tokyo, Japan’s first national art museum situated at the Kitanomaru Park neighboring the Imperial Palace, will exhibit various masterpieces featuring spring at its annual spring exhibitions in 2018. The works to be on display include KAWAI Gyokudo’s “Parting Spring” depicting cherry blossoms. The masterpiece, which is designated as an Important Cultural Property, can be displayed only once a year.